Side view of "Sphere No. 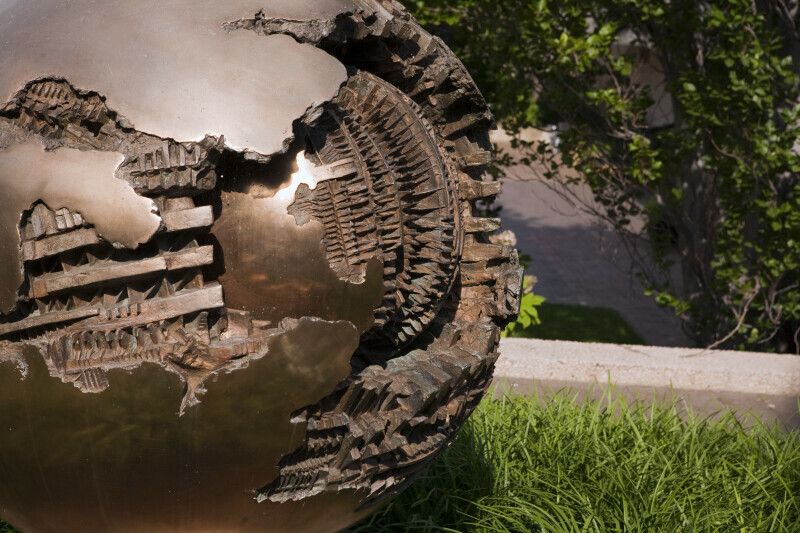 6 (Sphere within a Sphere)", a bronze sculpture by Arnaldo Pomodoro, created between 1963-65. WARNING: You are about to download a 21.2 MB TIFF!